*The two teams did not have midweek obligations for the Cup. Panetolikos comes from an away defeat against Panathinaikos (1-0) in a match that had only a few good chances (attempts 8-4). The officials of the club were furious with the decision of the referee to send Rusculleda off at 60’ (second yellow). According to this decision was responsible for their defeat because the goal of Panathinaikos came at 67’ while they were playing with a man down. The players of Chavos had a weak start this season but they improved on October and they never looked back. Their only defeats since then are against Panathinaikos (two, same score 1-0) and Olympiacos (2-0 away). There are two problems reported. Asteras Tripolis was the free team of Day 23 as their home match against Niki Volou was cancelled and they finally got three easy points. January was not a good month for them and their fatigue from the consecutive matches since the beginning of July 2014 (Europa League obligations) is more than obvious. Coach Verghetis stated he is confident the break gave his players the time they needed to rest. He also said that if they will have the same level of concentration they had in other important matches this season they can get the three points against a very dangerous opponent like Panetolikos. There is one problem reported. I like the way these two clubs play in their matches. They do have a lot of quality players in their rosters and the least I expect is to see them scoring at least once. My next option will be a result of Over 2.5 goals @ 2.30 which is highly probable. If you are looking for a winner, I believe the win of Panetolikos @ 2.30 if fair considering their home strength (6W-3D-2L, goals 20-9) and the strange away stats of Asteras (4W-1D-6L, goals 17-18) who has not won away from Tripoli for 4 consecutive matches (0W-1D-3L). *Panionios comes from a midweek away defeat (2-0) from Iraklis 1908 (Football League) for the Greek Cup. Giannina are out of the tournament. Giannina have built and interesting undefeated streak of 8 matches (3W-5D-0L). The three consecutive wins against Kerkyra (2-1 at home), Veria (4-1 at home) and Levadiakos (1-2 away) have brought the players of Petrakis very close to a Play Off placement. A win against Panionios may allow them to climb higher in the standings as long as Panetolikos will not win the home match against Asteras Tripolis. There two very important absences reported. Panionios is fighting to stay alive in Super League and considering some of their recent matches they have every reason to hope they will succeed. They have not lost in their last three league games (Panthrakikos 2-1 at home, Skoda Xanthi 1-1 away and AOK Kerkyra 0-0 at home). They also had a midweek match for the Cup where they suffered and away defeat (2-0) from Iraklis 1908 (Football League, candidate for promotion). Coach Ouzounidis stated his team can still make it to the Semi Finals of the tournament but I strongly believe it is about time for them to choose where they want to concentrate. There are two problems reported. For six consecutive matches Giannina paid this option but they did not lose any of them. What really bothers me are the strange odds that I see in the home win especially when we know Giannina are strong at Zossimades (7W-4D-1L, goals 24-11) and Panionios is the worst away team (0W-2D-9L, goals 7-20). 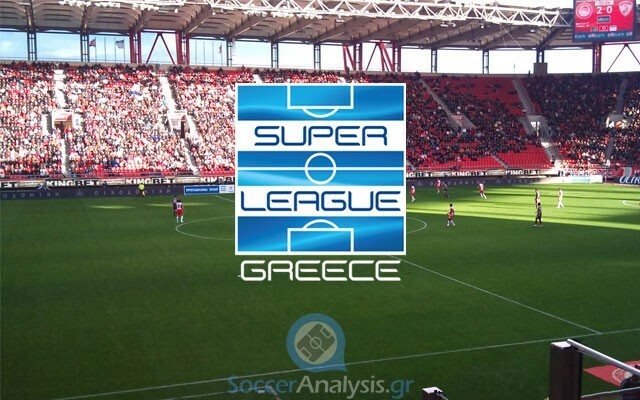 *Olympiacos comes from a home draw (1-1) against the hated rivals of AEK (Football League) for the Greek Cup. Ergotelis is out of the tournament. The winning streak of Olympiacos (nine matches) ended at Toumba (PAOK 0-0). The Champions got the minimum they needed in a very difficult venue and are still leading the standings with no one looking able (or just stable enough) to get in their way. They also had a midweek home match for the Cup against AEK (Football League) which frustrated the many fans that attended it. Pereira was expected to make changes in the starting lineup but his decision to alter it by 8/11 was proven wrong. AEK scored first (14’) and all Olympiacos did was answer at 48’ to set the (fair) final score. A few changes are expected to take place again as the team has too many difficult consecutive matches ahead. Other: Siovas (DEF/11/1 assist), Masuaku (DEF/19/4 assists) and Mitroglou (FWD/18/13 goals) are expected to be in the starting lineup as they need to rest before the difficult upcoming matches Dnipro and Panathinaikos. Ergotelis got a very important win in the last home match against OFI and they have every reason to hope they will avoid relegation in the end. The changes in the roster worked and this was shown in their result from January till now. The arrival of Matzourakis (former of Kalloni) on 12/02/15 is expected to help as he is an experienced coach who can make the difference for the club from Crete. There are six problems reported. No one expects Ergotelis to get points here but this does not mean they are going to Karaiskakis to humiliate themselves. Other: Olaitan (FWD/1, winter transfer) belongs to Olympiacos (loan) and he cannot be used in this match. If Ergotelis was capable to score twice against Olympiacos in the first round, they surely can do it once now that they feel more confident. I will not choose anything else here as the two clubs have good relations that might work to the benefit of Ergotelis against all odds.